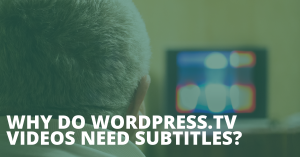 By subtitling some of the videos on WordPress.tv, you can contribute to the WordPress Project. Help us extend the reach of this amazing library of resources on WordPress.tv. The talks are well worth it!